International FASD Awareness Day is observed every year at 9:09AM on 9 September, in recognition of the nine months of a pregnancy. 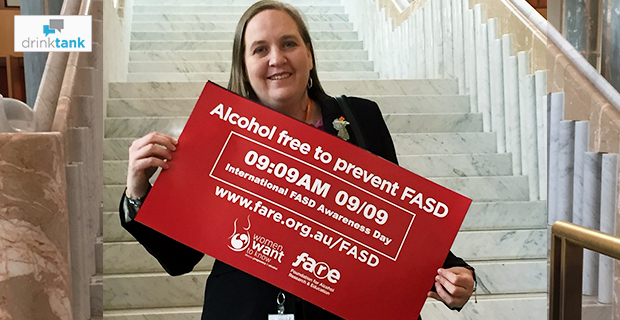 Throughout the day, Australians across the country have been showing their support by going alcohol free and raising awareness of Fetal Alcohol Spectrum Disorders (FASD). FASD is an umbrella term for a range of learning, behavioural and developmental disabilities that result from prenatal alcohol exposure, and will affect those born with FASD for the rest of their lives. FASD are the most common preventable cause of non-genetic, developmental disability in Australia. It is for this reason that one of Australia’s leading FASD experts, Dr James Fitzpatrick of the Telethon Kids Institute, says prevention is so important. “We know that alcohol use during pregnancy can cause lifelong brain damage and a range of birth defects, but the good news is that FASD is not a complex or rare genetic disorder. We don’t need major pharmaceutical breakthroughs to prevent FASD. We can prevent FASD by not consuming alcohol during pregnancy,” says Dr Fitzpatrick. International FASD Awareness Day is a valuable opportunity to increase the awareness of Australia’s alcohol guidelines, and the risks associated with drinking alcohol while pregnant. Around the nation, Australians have been lending their support to the cause by going alcohol free, posting selfies to social media and starting important discussions about alcohol and pregnancy in an effort to prevent FASD. You can follow, and join in on, this conversation on Twitter at #FASDAwarenessDay and Facebook at #FASDAwarenessDay. While there is still much work to be done to prevent FASD and to support people living with FASD in Australia, efforts are slowly gathering pace. This year saw the recognition of FASD by the House of Representatives Inquiry into the harmful use of alcohol in Aboriginal and Torres Strait Islander communities, and NOFASD Australia establish a National Parent Advisory Group. In New South Wales, the Baird Government announced funding for a FASD diagnostic clinic, and the Newcastle community is in the process of developing a FASD strategy. The Western Australian Government has funded a FASD clinic, and a recent investment from the Australian Capital Territory Government has allowed for the regional rollout of FARE’s Women Want to Know campaign to encourage health professionals to talk about alcohol and pregnancy. 2015 also saw the results of the Lililwan Project in Fitzroy Crossing, Western Australia focusing on FASD in rural and Indigenous communities; the release of educational videos for Criminal Justice professionals; and the launch of a guide for primary healthcare professionals on how to best support pregnant women who use alcohol or other drugs. An Australian FASD Diagnostic tool is being trialled across multiple clinics nationally, and recommendations are currently before the Australian Government to ensure that FASD is included in the rollout of the National Disability Insurance Scheme. 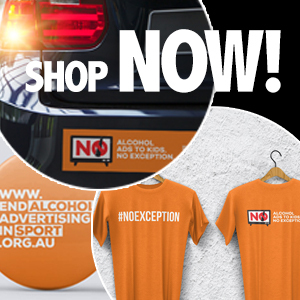 A big thank you to FARE and everyone else who supported FASDAwarenessDay 2015 by championing NOFASD Australia’s second Join the Pledge Campaign (https://www.facebook.com/NOFASD.Australia?fref=ts)and making the commitment to be alcohol free for the day to raise awareness about FASD. Thanks FARE and NOFASD for helping raise awareness of this terrible preventable condition. There is so much more interest now than there was in 2000 when I first learned about FASD, however parents are still not getting the help they need. I believe that if 2 things were to happen the flow down would change the lives of parents and their children and save other lives. 1) national education campaign 2) acknowledge FASD as a disability. This FASDAY has been the best and most significant of them all so far – congratulations to everyone for helping make this so.